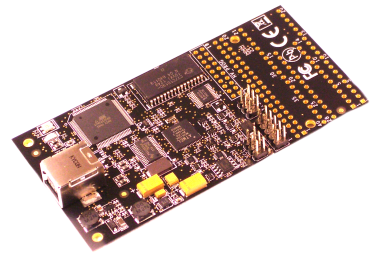 the universal development tool from Atmel for the programming of microcontrollers. 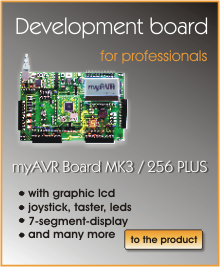 --> AVR Dragon has ISP and JTAG interface. In addition to programming it supports on-chip debugging (OCD) for many controllers, so that "confused" Fuse bits can be saved. 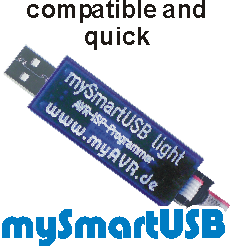 It is supported by AVR-Studio; a firmware update is possible at any time. 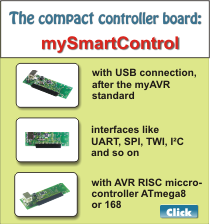 AVR-Studio automatically checks the firmware and informs the user when an update is available. AVR Dragon needed to operate a USB 2.0 port that can deliver a current of 500 mA.